The Rogers Export Monitor meets the demands of thousands of enthusiasts that have pleaded for an LS3/6 loudspeaker with increased power handling. Based on design expertise acquired from five years of manufacture of the Rogers BBC LS3/6 Studio Monitor, this three unit system offers a standard of performance which makes it a class leader and power handling more than adequate for domestic use. The BBC LS3/6 has enjoyed an enviable reputation both home and abroad and has come to be regarded as a standard by which others are judged. The need for higher power handling, especially for the export markets has been researched exhaustively with a refusal to accept deterioration in sound quality. The Export Monitor has been received with enthusiasm worldwide and shows a remarkable lack of colouration, with very low harmonic and intermodulation distortion. 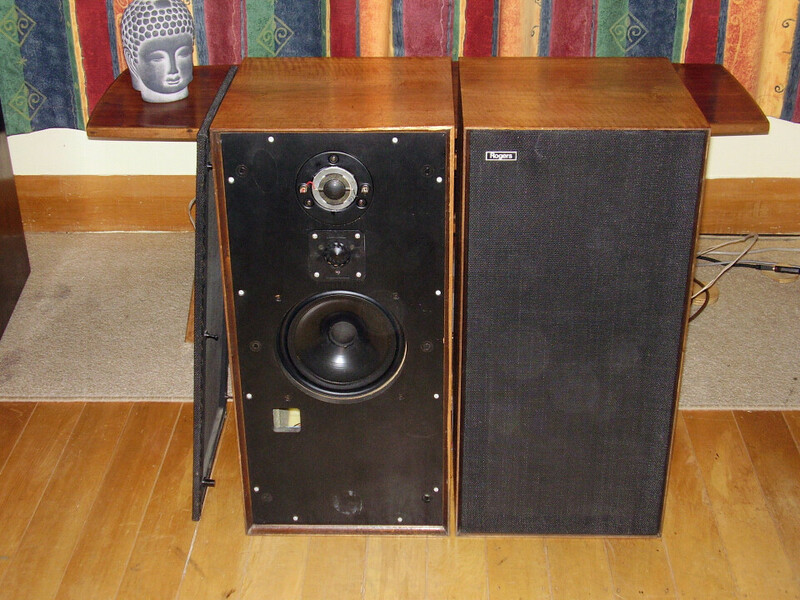 The Rogers Monitor pioneer units in Bextrene Cone Technology, are the result of many years research by the British broadcasting Corporation into loudspeaker cone behaviour.